This week Mirtha Vasquez visited CATAPA. She is the director of GRUFIDES and the lawyer for famous environmentalist Maxima Acuña and is based in Peru. The purpose of her visit was to lobby and raise awareness for the Defensoras in Peru and Latin America through public events and a meeting at the EU. The visit laid the groundwork for a very exciting week here at CATAPA. 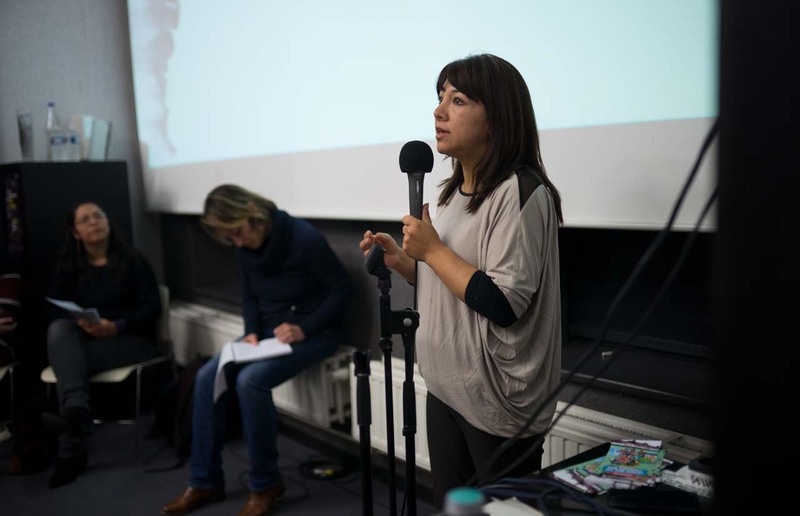 On Tuesday there was an event at the Pianofabriek in Brussels called Women, gender equality, climate justice: a case for Defensoras. Besides Mirtha Vasquez, Amelia Alva Arevalo who is a researcher at University of Ghent spoke of her current research that focuses on the implementation and exercise of the prior consultation of indigenous peoples in the Andean Countries. In June-July 2017, she was on an observation mission to El Salvador on human rights violations towards Defensoras. Furthermore, Nicky Broekhoven spoke about her research that is coming from a legal perspective and focuses on gender equality, women’s rights, and environment. She is also a volunteer at the Gender and Human Rights division of Amnesty International, and advocates for a mainstreaming of gender in questions regarding human rights. The event attracted a diverse and large audience and the Pianofabriek was filled to the brim. After the presentations there was also a Q & A session with all the speakers, leading to dynamic discussions about the issues that WHRDs face. 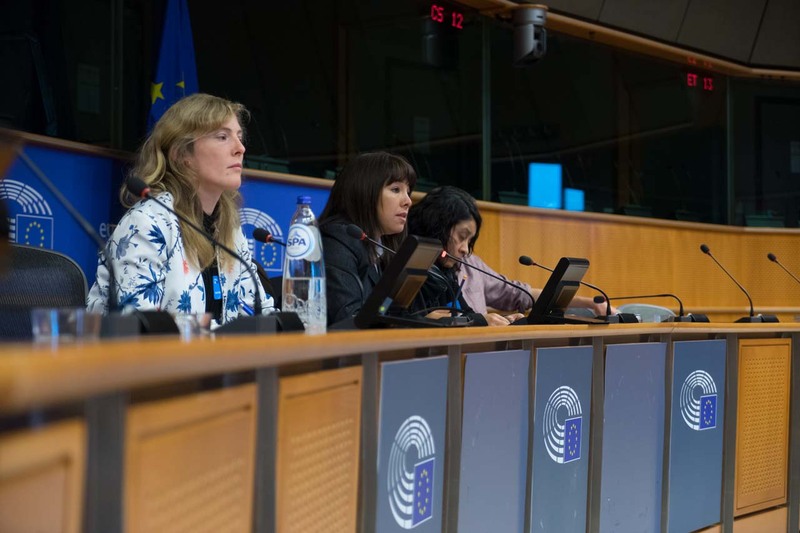 On Wednesday there was an event at the European Parliament aimed at raising awareness on the precarious situation of women environmental activists in Latin-America. Mirtha Vasquez did a presentation together with Dr. Clara Burbano-Herrera (University of Ghent). The presentations contained recommendations for the EU concerning the protection of HRDs and WHRDs in Latin America. Much interest was garnered from MEPs and NGOs with regards to how WHRDs can be protected, both within a legal framework and through attention garnered in various press publications. MEPs also asked questions about how they could include issues discussed in the presentation within free trade agreements (FTAs) and how they should be framed in an inclusive manner. 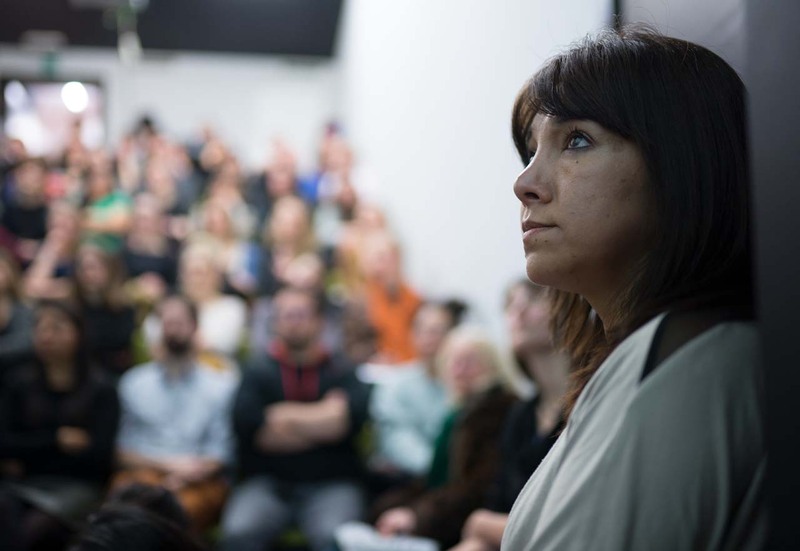 Following the presentations of Mirtha Vasquez and Dr. Clara Burbano-Herrera there was presentations from both Florent Marcellesi (MEP Greens/EFA), Rapporteur for Opinion, and Jordi Solé (MEP Greens/EFA), member of AFET and BUDG. The presentations were concerning the protection that the EU give HRDs and how their new strategies are supported by the budget. At the request of the various civil society organisations present they elaborated further on the real life impact of the EUs commitments. It was indeed very interesting to hear about similar issues coming from both the EU and individuals affected by their policies. Of course there was also time for an internal meeting with Mirtha Vasquez and the catapistas to discuss the current situation in Peru and future collaborations. It was a great pleasure to have her as a guest here at CATAPA and we are very glad that so many people showed interest in listening to her description about the current problems with the mining industry and WHRDs in Peru.